After a comprehensive search, Dr Heather Gaunt has been appointed as Curator, Exhibitions and Collections at the Grainger Museum. Heather comes to the Grainger Museum after five years as Curator of Academic Programs (Research), at the Ian Potter Museum of Art. In that role, she worked to create innovative teaching, learning and research connections between the academic community and the Potter’s exhibitions and collections, across all disciplines. An area of particular passion has been the development of the Visual Arts in Health Education Program, utilising cultural resources in collaborative cross-disciplinary engagements across many areas in the Faculty of Medicine, Dentistry and Health Sciences. Heather has a number of publications in the area of tertiary learning in museums across disciplines, and has presented widely at national and international forums, most recently as keynote speaker for the Association of Pacific Rim Universities Research Symposiums on University Museums, Hong Kong University, in 2016. 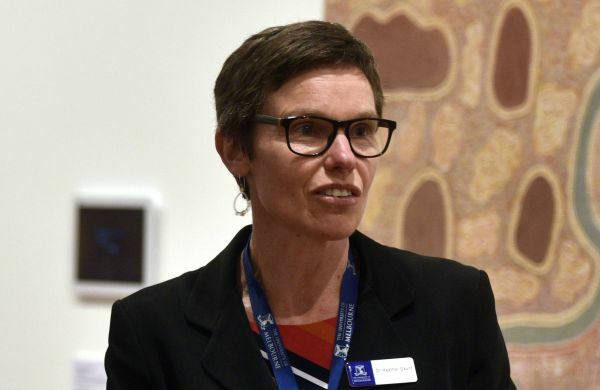 Prior to working at the Potter, Heather worked in the Indigenous Cultures Collection at Museum Victoria, and was Curator - Collections Management for the University Art Museum/Ian Potter Museum of Art in the 1990s. In many ways, taking up the role at the Grainger is a homecoming, as Heather's first degree at the University of Melbourne was a Bachelor of Music, at the Conservatorium. Heather will commence in her new role on Wednesday 1 February 2017.